With Islamic extremist attacks seemingly happening throughout the world on a regular basis, the president of Egypt, Abdel Fattah al-Sisi, delivered a groundbreaking New Year's Day speech at the highly-prestigious, 1000-year-old Al-Azhar University and urged Muslim imams to change radical rhetoric and lead a "religious revolution" that embraces peace. With extremists groups like the Islamic State, Boko Haram, and Al Qaeda killing thousands of innocent people in addition to the increase of radical attacks in other parts of the world, most in the international community no longer view Islam as "religion of peace," al-Sisi stated. "Is it possible that 1.6 billion [Muslims] should want to kill the rest of the world's inhabitants – that is 7 billion—so that they themselves may live? Impossible!" al-Sisi asserted. "I say and repeat again that we are in need of a religious revolution. You, imams, are responsible before Allah. The entire world, I say it again, the entire world is waiting for your next move… because this umma [international Muslim community] is being torn, it is being destroyed, it is being lost – and it is being lost by our own hands." Islam is not the only religion with a history of killing in their God's name — as Christianity had its Crusades from the 1000s to the 1200s – but extremist Islam has never been completely able to break away from the ancient violent rhetoric of killing those whom they disagree with or those who insult their prophet. Al-Sisi claimed this kind of violence is only "antagonizing the world." "It's inconceivable that the thinking that we hold most sacred should cause the entire umma (multinational community of Muslim believers) to be a source of anxiety, danger, killing and destruction for the rest of the world. Impossible!," Al-Sisi said. "That thinking – I am not saying 'religion' but 'thinking' – that corpus of texts and ideas that we have sacralized over the years, to the point that departing from them has become almost impossible, is antagonizing the entire world. It's antagonizing the entire world!" It will take more than just the clerics who attended Al-Sisi's speech to end extremists violence. It will take the whole muslim world standing up and saying, "Not in our names, and not in the Name of Allah!" he said. "May Allah bear witness on Judgment Day to the truth of your intentions, regarding what I say to you today," al-Sisi said. "You cannot see things clearly when you are locked [in this theology]. You must emerge from it and look from outside, in order to get closer to a truly enlightened theology." Giving a speech of that magnitude and conviction is a courageous move by Al-Sisi and it could be met with lethal consequences, Washington Post Columnist George Will said on Fox News Sunday. 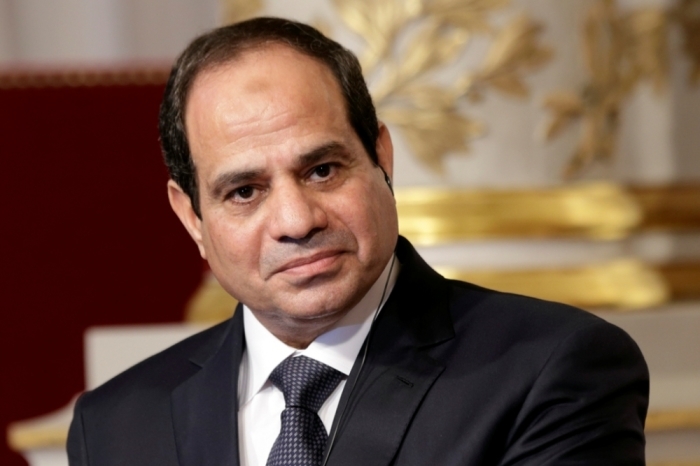 "As head of the Egyptian state, Al-Sisi occupies an office once occupied by Anwar Sadat, who was murdered by Muslim extremists for his opening to Israel," Will said. "This was an act of tremendous bravery by Al-Sisi and if the Nobel Peace Prize committee is looking for someone who could plausibly deserves it, they could start there." Following his words for a change in the violent Islamic rhetoric and intolerance, al-Sisi made more history last Tuesday when he became the first Egyptian president ever to attend a Coptic Christian mass. 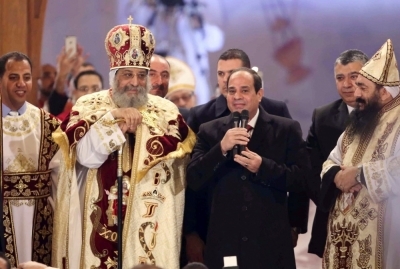 Al-Sisi attended the mass on the day of they celebrated Christmas. "Let no one say, 'What kind of Egyptian are you?'" al-Sisi said. "It's not right to call each other anything but 'the Egyptians.' We must only be Egyptians … We will love each other for real, so that people may see. A happy year for your and all Egyptians!"